A larger version of Barilla® Medium Shells with a shape that resembles a shellfish, Large Shells are inspired by the sea-side towns of Naples and Genoa. 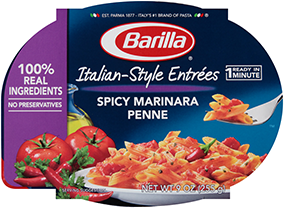 Barilla® Large Shells is made with non-GMO ingredients. For more information, please read our position. Large Shells are great with vegetable, meat, or tomato based sauces. Return to a boil. For authentic "al dente" pasta, boil uncovered, stirring occasionally for 14 minutes. For more tender pasta, boil an additional 1 minute.